Ria Loves Pawlish: Cosmoprof 2012... Rusk Event! my half chaps (for horseback riding) came in today... but when i went to pick them up, they didn't fit! i'm so disappointed, that means i'll be getting more bruises on my legs tomorrow :( i apparently have really short calves... so, the hunt will continue for a brand that's short enough but not too small around! 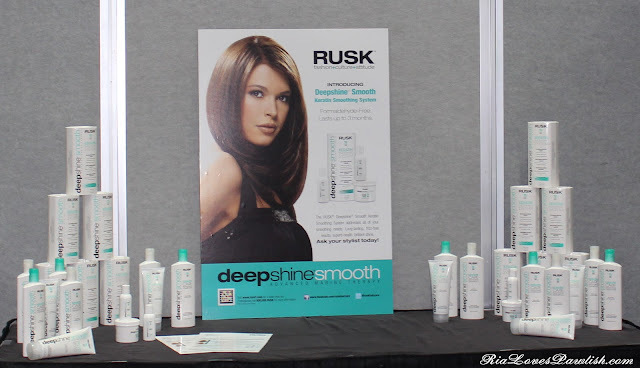 today's Cosmoprof post is on the Rusk Deepshine Keratin Smoothing System event i attended! 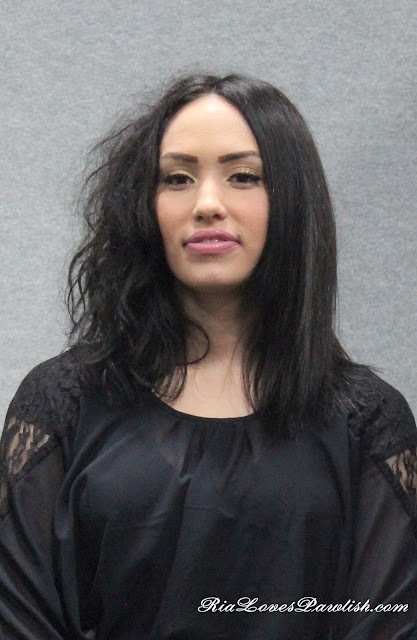 i really enjoyed learning about their new product line :) it's nice because you can get their professional Deepshine Keratin treatment done at a salon, but they also shampoo, conditioner, and treatments that let you keep up the style at home! 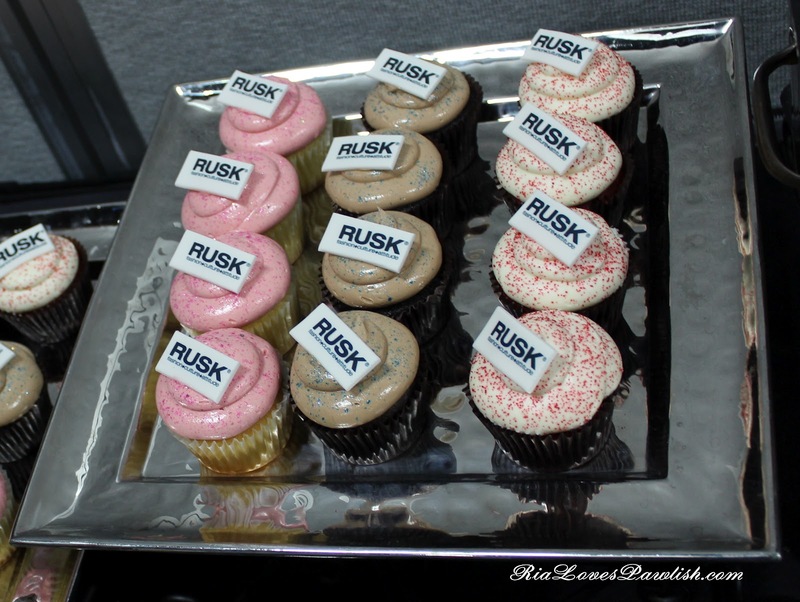 Rusk was super generous and gave everyone who attended the event full size products to try out... so both my mom and i have been using them... and they're really awesome! i will have a full review (including comments from Mama Pawlish!) coming up shortly! this is the display that was set up in the front of the room... very chic! Gerald Caruso (a member of the Creative Team at Rusk!) gave the seminar... he was really informative and also made the presentation interesting! aw, can't wait to hear what Mama Pawlish has to say!